The latest advancements in cardiovascular science tell us that it’s no longer enough just to talk about antioxidants or cholesterol. If we want to change our cardiovascular health in a profound way, we have to look at it from an all-encompassing point of view—we have to look at its most foundational components. Nutrients and oxygen–The cells that line all vessels (endothelial cells) are responsible for nutrient intake, oxygen transport, immune cell assimilation, and toxin defense. They rely on REDOX signaling mole­cules and REDOX reactions to do this. Blood Vessel Repair–REDOX signaling molecules spark the processes that repair vessels. This is the same intercellular “chatter” that helps us heal quickly and with minimal scarring when we hurt ourselves; it’s also at the root of cellular replication when there’s damage to a vessel. System Regulation–At the root of autonomic process of the cardiovascular system we find REDOX reactions; auto-regulation of blood pressure, heart rate, and vascular tone. RE­DOX signaling molecules send input to cellular receptors that control each of these. Our cardiovascular system (like all systems of the body) works best when we are young, at a normal body weight, staying hydrated, eating well, and exercising. But stress, illness, and an unbalanced lifestyle trigger trouble signals and set the stage for oxidative stress. Uncorrected, this can cause chronic cellular damage. Hypertension, atherosclerosis, heart attack, and stroke are all possible results. Inflammation—In the presence of illness, injury, or another stimulus, the body produces inflammation. REDOX signaling molecules, the “masters” of cellular messaging, call for an infusion of immune cells as part of the body’s natural healing process. The trouble is, as the body addresses the issue, swelling occurs, “bad” cholester­ol is deposited, and vessels can harden and narrow. Correcting this “sickness”-signaling is the way to restore cardiovascular health. Looking at these factors—and mitigating them—is now becoming a trend in health sci­ence. Strategies to prevent oxidative stress and inflammation are at the forefront. To truly be ahead of the game, it’s going to take thinking beyond simply detecting imbalances. It has to start at the cellular level with the critical REDOX messaging that goes on there. 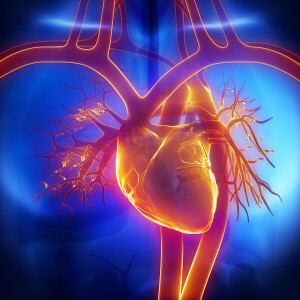 The more we understand REDOX signaling molecules, the more we’ll understand the basis of cardiovascular health.